July 3, 3-10 p.m. // July 4, noon-10:30 p.m.
Carmel’s two-day festival includes a parade, marketplace, kid zone and live music, including a Carmel Symphony Orchestra concert at the Carmel Gazebo. 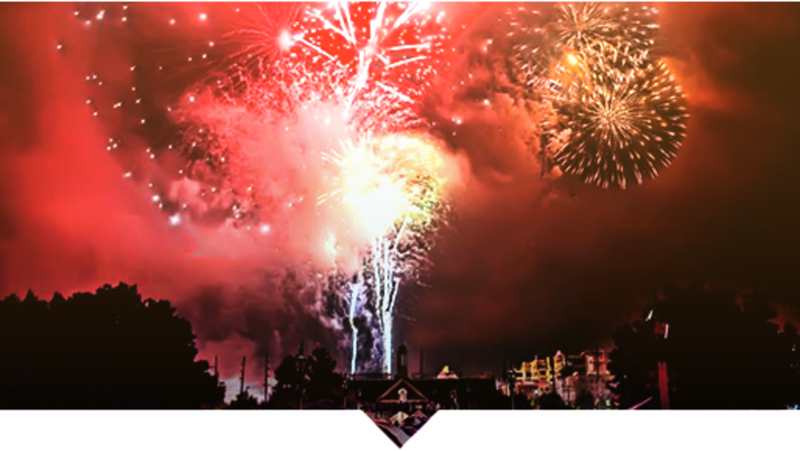 A fireworks show is scheduled for July 4 at 9:45 p.m.
June 29, June 30, July 3, July 4 // Gates open at 4:30 p.m. The Indianapolis Symphony Orchestra’s annual celebration of America salutes the branches of the Armed Forces. Performance includes the famous 1812 Overture with with cannons and a fireworks show to cap off the night. June 30, 8 a.m.-10:30 p.m. This new Fishers celebration includes an AMP After Dark Road Show June 29 featuring Sugar Ray and special guest Ryan Ahlwardt, as well as a 5K, street fair, parade and fireworks. Enjoy the Spark!Fishers Show: WJJK presents The PettyBreakers sponsored by Johnson Jensen LLP. Enjoy dinner from food trucks as local band My Yellow Rickshaw performs. The nights caps off with a fireworks show at 10 p.m. Celebrate Independence Day, the 1836 way. Guests can decorate Prairietown, sing patriotic songs, test their history knowledge and partake in games, dancing, militia drills and Declaration of Independence readings. Rock into the 4th of July with this classic rock concert and a special fireworks show after the concert. The schedule includes a parade at 4:30 p.m., festival from 6-10 p.m. and fireworks at 10 p.m. Extend the holiday week with two performances from Dave Matthews. Westfield’s biggest event of the year returns with fun for the whole family, including the Westfield Lions Club Car Show. Enjoy a festive red, white and blue wine slushie, pizza, live music and a fireworks show at 10 p.m. Guests who arrive dressed in patriotic attire can enjoy a special discount. This multi-day festival includes a parade, kids’ carnival, zipline, sports tournaments, craft and food vendors, live music, talent show and fireworks. Click here for more information on things to do in Hamilton County, Indiana and be sure to follow us on Facebook, Twitter and Instagram.